We'll have a Driving Clinic for those that want to put their cars up for a short run. Will not be a full AutoX, just for those that want to learn driving control. 409 rsvp's and counting !! 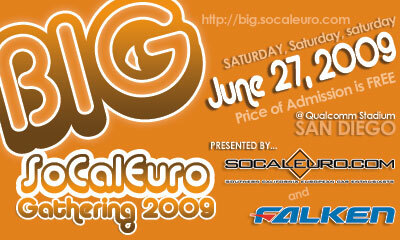 Quick Reply: Big SoCal Euro Gathering 2009 !! June 27th, 2009 ! !